Hello, today is Productivity Tuesday again, and we would like to share a quick tip to help make handling your email inbox an easy task! If you use Google Chrome as your primary browser, then you already know how helpful extensions are. 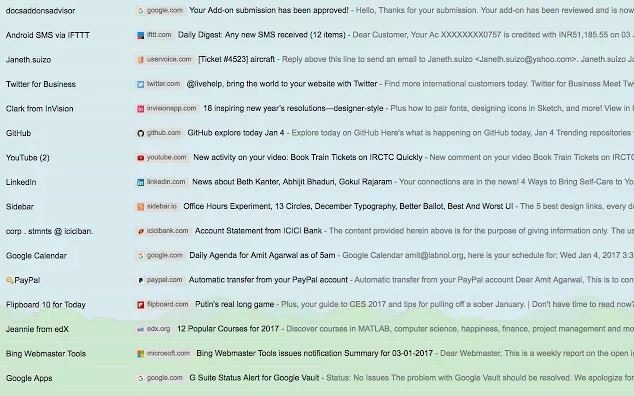 If you happen to use Gmail, then downloading the Gmail Sender Icons extension will make sorting your inbox much easier. With this extension, the email will show a favicon and short URL beside the message if the sender is associated with a website which will help you easily identify the sender. This is fantastic for visually separating messages in your inbox and can make the chore of sorting emails a simple task.